The social media automation is becoming an integral part of a business marketing campaign. Obviously, the laborious chores of manual postings, managing social accounts or pages, and letting the followers engaged with your brand; this demands a huge time and effort. That is where automated social media tools come into action and save your time by automating social media activities. In a myriad of social media marketing tools, Fan Page Robot has brought a new addition with incredible features at a reasonable price. You can enjoy a hassle-free social media automation without any hidden charges or extra cost just with one software. Fan Page Robot offers a number of tools to automate social media activities, and support many social media and blogging platforms as well. The Facebook autoposter of this software incredibly manages your social media business page on your behalf. So, you don’t have to spend hours in managing the fan page and can productively manage other important business chores. 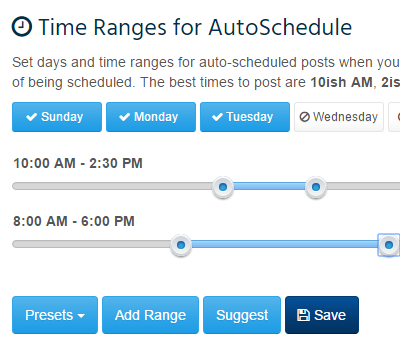 By setting preferred day and time of scheduling, the Fan Page Robot posts the content on a pre-scheduled time. It helps you increase likes and followers with its content curation tool. Moreover, it gives you a platform to reach potential users and drive more traffic to your website. And the most significant aspect is the promotion on Facebook while avoiding penalties. 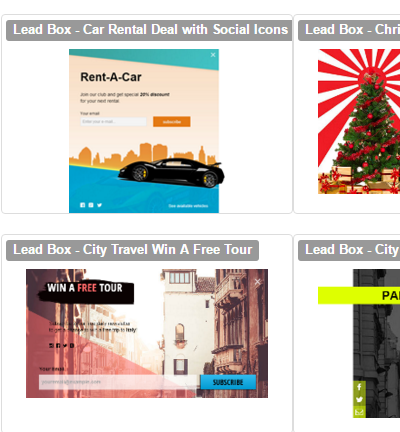 This promotion results in successful lead generation with increased sales. When it comes to Instagram automation, Fan Page Robot is the first and only social media marketing tool that supports auto posting to Instagram without the Instagram mobile app (iOS/Android). You will be able to auto post to Instagram from any computers, Mac or PC, or from any browsers, without your smart phone. Besides, you can include your Instagram page URL and share your Instagram content on other social media channels with Fan Page Robot. Fan Page Robot is a social media automation tool that efficiently automates Twitter activities by creating relevant and interesting tweets as per the target keywords. The tweets will not only be automatically fed to Twitter, in fact they will be monetized with the use of advertisements and pop ups that are high-converting. The software also reveals about the best hashtags that will give your tweets a higher visibility and potential outreach. As you enter a tag, the system will automatically generate the best possible hashtags with the information about average views, likes and followers for each of them. Being one of the powerful social media platforms, Pinterest is a visual channel to enhance social following and brand awareness. The social media automation of Pinterest by Fan Page Robot enables you to generate exciting and high-quality images that will go viral. With such trending images that Fan Page Robot autpost to your Pinterest account, you will be able to grab more attention of people that may convert into real clients. The software lets your pins posted on preferred time through its autoscheduler. Moreover, every image you share through Fan Page Robot is SEO friendly that guarantees a higher visibility in search engine and can be discovered by a wide audience. Fan Page Robot helps you monetize your Pinterest accounts by placing your watermarks on the pinned images. This leads to an increased brand awareness and gets you potential clients as well. Blogging is an impact-driven approach to drive more traffic to your business. By doing regular, consistent and informative blog posts, you can keep your audience engaged as well as informed about your brand. The Fan Page Robot has tools to automate your blogging activities on Tumblr as well. Tumblr is one of the significant blogging platforms and one’s online existence there means a lot. In order to make a real difference, Fan Page Robot offers a number of features to enhance your Tumblr existence. You can automatically generate trending and viral blog posts with the software’s content auto generation tool, and then autopost them to your Tumblr blog. 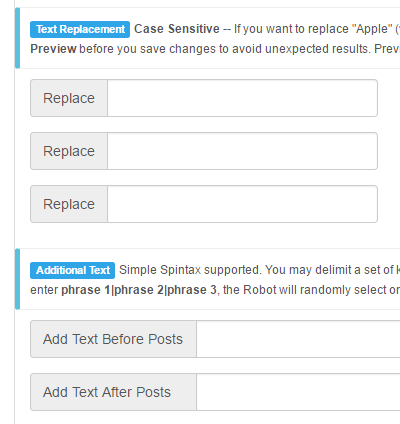 Another exciting feature of Fan Page Robot is WordPress automation. WordPress is a wonderful website and blogging platform that is SEO friendly, and can help one to have higher search engine rankings. The WordPress autoposter of Fan Page Robot lets you enjoy updated, fresh and consistently scheduled content on your Wordpress website or blog. You do not need to worry about hassles of manual posting and updating the content. All you have to do is just enter the Fan Page Robot’s dashboard, and with one click you can generate fresh content and then autopost it. Moreover, the software ensures SEO optimized pages of your website to have more visitors. And it is not the end, rather Fan Page Robot offers lucrative benefits by monetizing your WordPress blog as well. The powerful campaign builder lets you advertise your business with appealing lead generating forms that convert your web pages into sales or landing pages without any additional promotion costs. Fan Page Robot is truly a stupendous tool for social media automation. With all other social media channels, it supports automation for Blogger as well. The presence of a business on Blogger is crucial to attain top search engine rankings. The content curation tool of Fan Page Robot generates fresh content for your Blogger account and autoposts on a scheduled basis. The software helps you in achieving more likes and shares of your blog posts and positions you as an authority figure in the target industry. All this can be obtained by the campaign builder that work seamlessly with the content curation tool and automatically increase your followers, likes and shares on a wide scale. Although, Google+ does not have that high number of users as Facebook or Twitter has, but being a Google product and connected with massive channels like YouTube and Gmail, it can bring a ton of traffic to your business. Fan Page Robot enhances your Google+ exposure in a smart manner with autoposting and autoscheduling feaures. You can proficiently manage multiple Google+ pages with Fan Page Robot through smart content generation. This keeps your followers engaged with your brand as well as increases +1s, shares and likes. The hashtag analyzer aids you to post your content with the best hashtags that will let your posts discovered by more people. While posting to Goolge+ pages, you can autopost to WordPress and Blogger accounts simultaneously as well. In order to improve SEO, grab more traffic and leads to your Shopify website, you must avoid the overly promotional techniques that seem to push clients to use your products. Instead, you must focus on providing unique, relevant and valuable content that increases brand awareness and authority. What makes Shopify blog really captivating is its easy to use and manage nature. A Shopify blog is simpler than a WordPress one. It saves you from a lot of complications as having a blog on another platform can be expensive and difficult to manage. You can easily promote your work and educate target customers about your products directly from inside your Shopify blog. This further prevents complications and makes the management quite hassle-free. In order to take your business to the skying heights, LinkedIn is a network of professionals and business organizations. Having an active existence on this platform will lead you to a long-term success with lucrative benefits. Fan Page Robot saves you time and effort by automating your content creation and sharing on LinkedIn. The content curation tool will generate enticing content for the target keywords and post it on your behalf. Moreover, the popup campaign builder of this social media automation software will monetize your LinkedIn posts with appealing lead generating forms that have high conversion rates. Thus, you will be enjoying an exponential rise in sales and revenue.